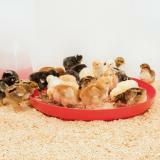 Provides a clean and hygienic area for feeding and watering day old chicks. For young chicks learning to eat and scratch. 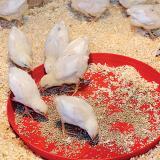 Textured surface reduces feed wastage. Recommended: 4 out of 5 said they would recommend this product to a friend. 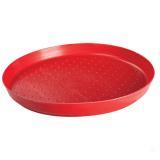 I love this tray for dry feed! I do have a large brood area so the size is great for my situation. I had 15 chicks so needed a pan large enough for them all to use as they were growing. 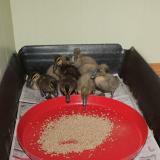 In the past I was feeding wet feed to chicks so I was using a glass pan which works well and avoids leaching from the plastic into the wet feed. This year I'm feeding dry. 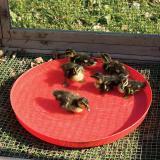 The glass pan worked well for awhile, however, after the chicks are a little heavier, they slide on the slippery glass. Since the feed is dry and there isn't a leaching issue, this plastic tray fixed the slipping and gave them a stable bottom to stand on. 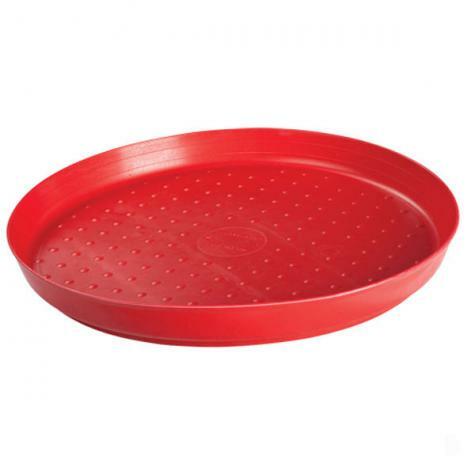 I will likely use this as a pan under adult dry feeders as well as other uses that I haven't even thought of yet. Definitely worth the price for my use. It provides plenty of space to feed chicks without the food all over the place. I use these for all sorts of ways with my chicks, hens, and ducks. They are durable and just the right size. I really like them. Handy. 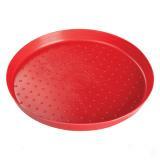 Great product, big enough to set the round feeders in so that the young birds don't waste their crumbles. Product that will hold up to a good scrubbing as well! Way too big for my brooder wish they made smaller sizes but nice construction. I will find some use for it.